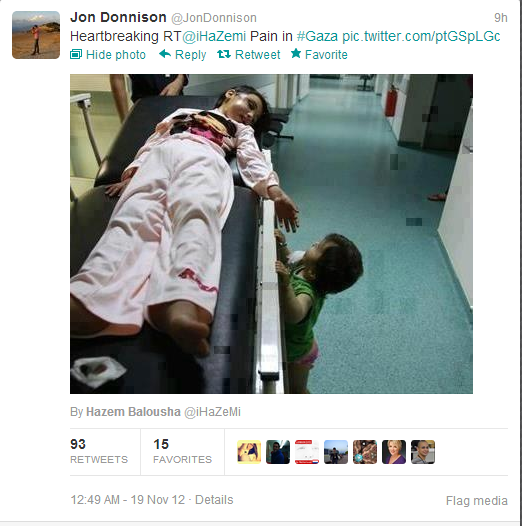 For the Twitter uninitiated, Donnison is retweeting to his 7,971 followers a Tweet by one Hazem Balousha – a Palestinian ‘journalist and social activist’ – including a picture titled “Pain in Gaza”, to which Donnison adds his own commentary – “Heartbreaking”. Except – as has already been pointed out to Donnison – it does not come from Gaza. Up to now, it may have been possible to put down Jon Donnison’s frequently problematic reporting to a lack of knowledge and understanding of the region. However, his decision to promote deliberate misinformation – either knowingly or as a result of a complete failure to check facts – indicates that he is not merely naïve. Donnison has rendered himself no longer fit for the purpose of accurate and impartial reporting from the Middle East in accordance with the BBC’s legal obligations. Sorry – that is nowhere near sufficient. 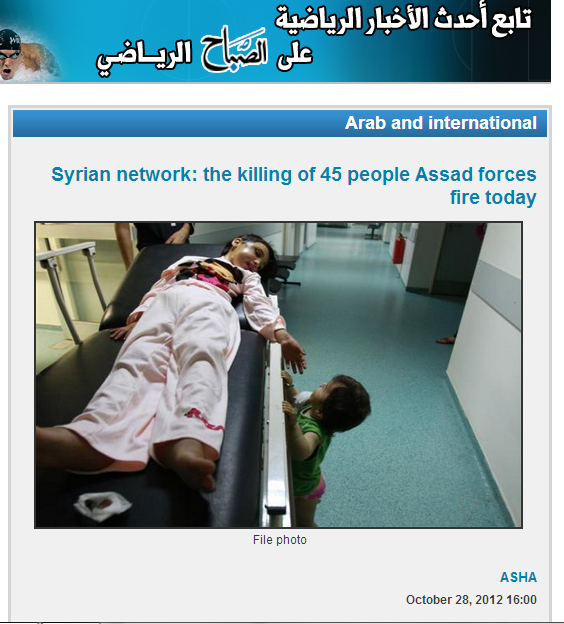 HP adds: there’s this in the Algemeiner: another recycled massacred Syrian family, this time from an Israeli Arab website.